Since the shooting of Michael Brown in Ferguson, Missouri by the police in 2014, there has been a growing anger against the police, especially after several more police shootings and other arrest incidents led to deaths. The resulting protests and riots have, in turn, triggered even more anger, much of it fueled by the media which have played up these incidents. A common trigger for these citizen and media attacks is when the police investigations lead to clearing the police officer charged with a fatal homicide. However, a major reason for this anger and the resulting upheavals is the misinformation that occurs in two key ways. According to an interview with Lance LoRusso, an attorney in Georgia who specializes in representing police officers in fatality incidents and wrote When Cops Kill and Blue News, there are two major sources of misinformation. One occurs because citizens don’t understand the police use of force guidelines, whereby the police are trained on when they can use deadly force. In addition, citizens don’t understand the careful assessment of a homicide committed by a police officer. This occurs at four levels within the criminal justice system – the administrative internal review process, the criminal investigation by the police, the prosecutor’s decision to charge or not charge a crime, and the courts if a trial occurs. 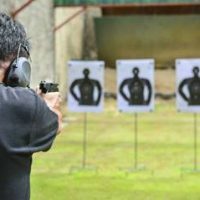 If citizens understood this process, they would recognize that in most cases, the police officer is not at fault in using his or her gun for self-defense in these difficult confrontations where the officer reasonably believes his or her life or that of someone else is under immediate threat and shoots for that reason. Another source of this misunderstanding is the misinformation that gets out through the social media without being quickly corrected. Frequently, witnesses or activists put out false information about what actually happened to suggest that the police officer wasn’t under threat, and this false information becomes the narrative that furthers hostility to the police and the system. Then, a further consideration is what the state statute permits, since nearly every state has a statute that justifies the use of force by LEOs. In addition, the code permits sheriffs or peace officers to use any reasonable nondeadly force as necessary to apprehend and arrest a suspected felon or misdemeanant, although if the suspect resists and escalates the arrest into a confrontation where the officer fears for his life, that officer has the authority to use deadly force. At the same time, the officer has the burden of proving that his or her actions were justified in a use of force analysis, which leaves open the door to being prosecuted for the inappropriate use of force. This is why some of these killings by the police have led to prosecutions, especially when there is citizen and media pressure to call the officer to account. A prosecution can even occur when an initial administrative review has found that the officer has acted appropriately within these guidelines. Unfortunately, regardless of the fact that the media seek to inform the public swiftly about events, while the justice system seeks to give the police the same deliberate protections under the law as other citizens, the accused cop’s career and finances are seriously undermined, even if he or she is found innocent. One source of misunderstanding about the use of force is what is a reasonable belief. In general, citizens don’t understand that these judgments about whether the officer acted reasonably are based on what a law enforcement officer would reasonably believe is a real danger from the suspect rather than what an average citizen would believe. 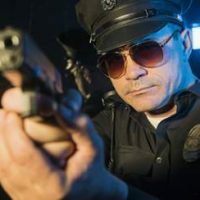 These beliefs can differ because the officer has a truer understanding of the nature of the danger than the average person, due to the officer experiencing many months of training on when to use deadly force in response to a perception of danger. By contrast, the average citizen may not recognize the danger, whereas the officer does. Upon seeing the potential danger, the officer has only moments in which to react by using deadly force to protect himself, because if he hesitates and is wrong, he will die. Generally, citizens don’t understand this need for quick action, when they later claim the officer shouldn’t have shot, because the suspect only had a toy gun or a cell phone. But at the time, the officer didn’t know, and when the suspect didn’t respond to his command to immediately put up his hands, the officer felt his or her life at risk. Accordingly, in such a situation, the officer is justified to shoot, though many citizens don’t understand why he or she had the right to do so. Another problem is that citizens don’t understand how quickly a suspect’s attack can turn deadly, which is another reason an officer might respond with deadly force rather than taking the risk that the suspect will shoot or charge with a knife. For example, as LoRusso explained, a person with a gun in his belt can fire that gun in 0.2 seconds by just pointing and shooting it. Then, it takes 2.5 seconds for each follow-up shot. By contrast, he claims that if an officer tries to pull his gun out of his holster to shoot, it takes about 7.6 to 8.3 seconds, which means that if the officer waits to see if the suspect will fire, he will be shot and perhaps killed. So at times, officers may take quick action because of a reasonable belief that they are facing a deadly threat, but citizens may not understand how and why the officer believes what he or she does.